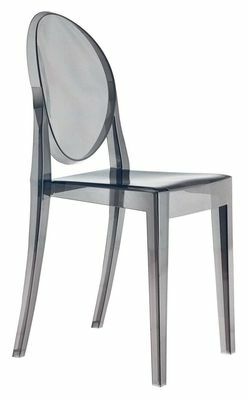 Victoria Ghost was born from the classical lines of the armchair Louis Ghost. The back is round and recalls the form of the antique medallion. This chair possesses a big charisma and a strong personality. She imposes his elegance in the modern environments or more classical. 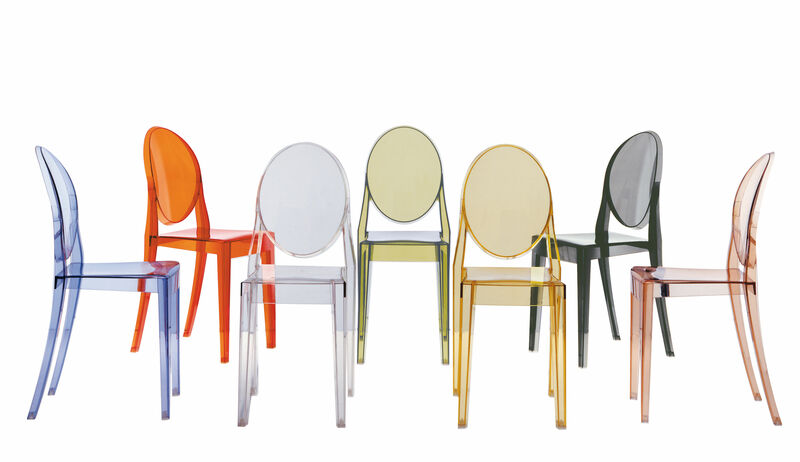 Realized in transparent polycarbonate and transparent colored, she is declined in several colors: smoked, green, yellow, orange, pink and blue sky. She is comfortable and easy to live!